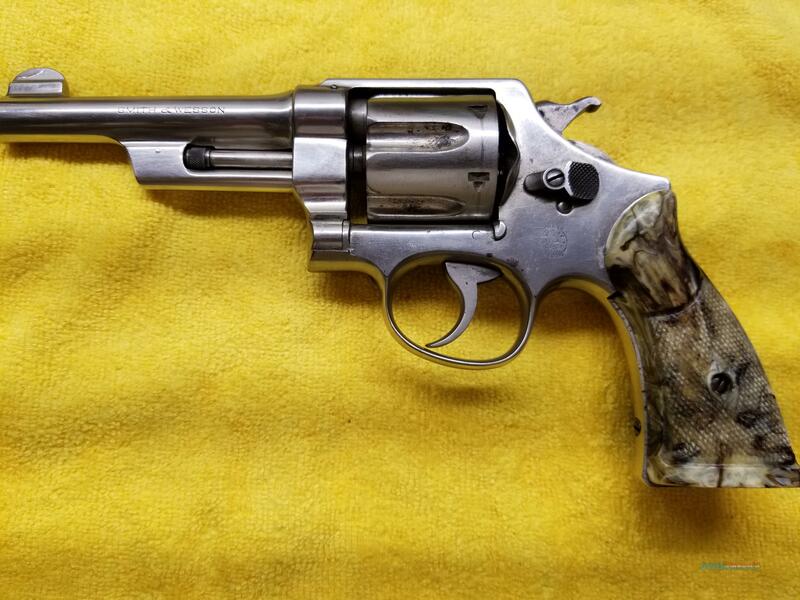 Description: This .44 Hand Ejector Third Model in .44 Special caliber features a 5" barrel, N frame, 6 round capacity, fixed sights, replacement grips and original nickel finish with serial# 324xx parts matching, no S prefix. Estimated production year of this revolver is 1930. Condition is estimated at least 70% and seems to be in fine working condition. Our pricing reflects a 3% discount for payment using money order or cashier's check. Add 3% for MC, Visa or Discover. Additional pictures are available on request. Three day inspection is offered if item is returned in as shipped and unfired condition at buyer's expense. Springfield Armory Stocking Dealer. Return policy 3 days on used guns only.